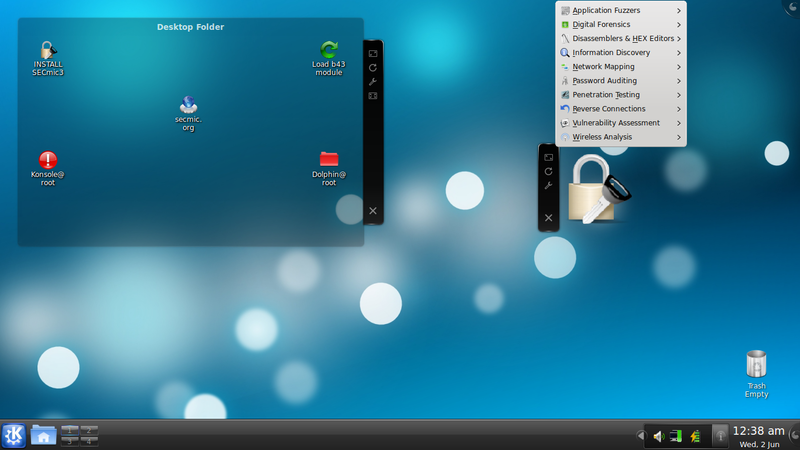 SECmic3 is a Kubuntu 10.04 LTS Lucid Lynx based security distribution. It is FREE to download, and will be forever. It comprises over 200 security oriented applications preinstalled. SECmic3 is Ubuntu/Kubuntu update compatible. Meaning you will be able to receive security updates directly from the Ubuntu/Kubuntu repositories for the lifetime of this Kubuntu 10.04 LTS based release.